Mark Barnes: U.S. sales will rise to about 10.5 million next year. Volkswagen of America expects sales of the VW brand to rise 10 percent in 2010 thanks to redesigns of several key products, says Chief Operating Officer Mark Barnes. VW sales will be fueled by a new-generation Jetta sedan due in September that "will be a good portion of our sales next year," Barnes says. A full year of Golf and Golf TDI diesel sales will also help. Those redesigns were introduced last month, along with a redesigned Jetta SportWagen and its diesel variant. VW expects to finish 2009 with sales of 200,000 to 210,000 units, down from 223,128 in 2008, Barnes says. "It is still a very tough market, but this year our market share has grown to 2.0 percent, from 1.6 percent last year," Barnes says. He expects VW's share to rise to 2.2 percent next year. VW expects the U.S. market will increase to about 10.5 million units next year. The seasonally adjusted annual sales rate has averaged 10.2 million this year. 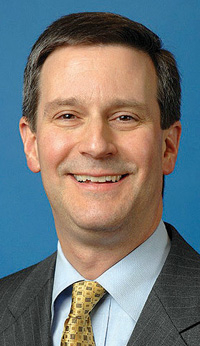 Barnes expects diesel sales to continue growing in 2010. Barnes says VW forecasts 85 percent of Jetta wagon sales in 2010 to be diesels, or 15,000 to 20,000 units.